Windows Phone users may have got a little excited after news from Italy confirmed that Sky Italia would be providing Sky Go support for the Microsoft platform. Unfortunately there's no sign of the app making its way to the UK, with Sky still quiet on any potential plans it has for Windows Phone. It's worth noting that Sky Italia and BSkyB in Britain are separate companies, so even if Sky Go is turning up in Italy it's a completely different team who deal with the UK operation. Sky Go has had a bit of a bumpy ride since its launch, with just a handful of Android devices gaining support for the live streaming application, and while Sky is committed to rolling it out to more tablets, its pace still feels a little slow. It does, however, give full support to Apple's range of iPhones and iPads, with the iOS platform a lot easier to develop for thanks to the lack of fragmentation with plagues Google's OS. 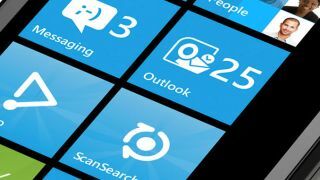 We heard in 2012 that Sky wasn't planning Windows Phone integration anytime soon, and it appears that's still the case... for now.